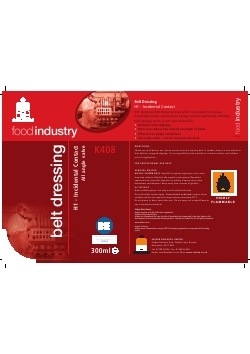 A NSF registered Belt Dressing Spray which is designed to increase transmitted power and decrease energy costs by significantly reducing belt slippage which in turn extends belt life. Shake can well before use. Spray evenly onto the moving belt. A sudden drop in noise indicates that belt has stopped slipping. Test compatibility with painted or coated surfaces and rubbers prior to application.